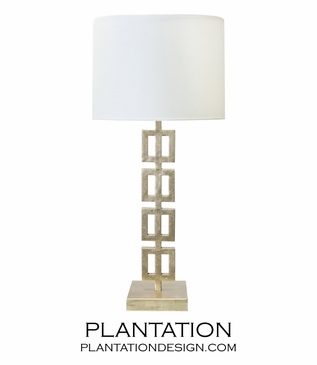 A tower of vertical squares define this lamp's striking geometric motif. 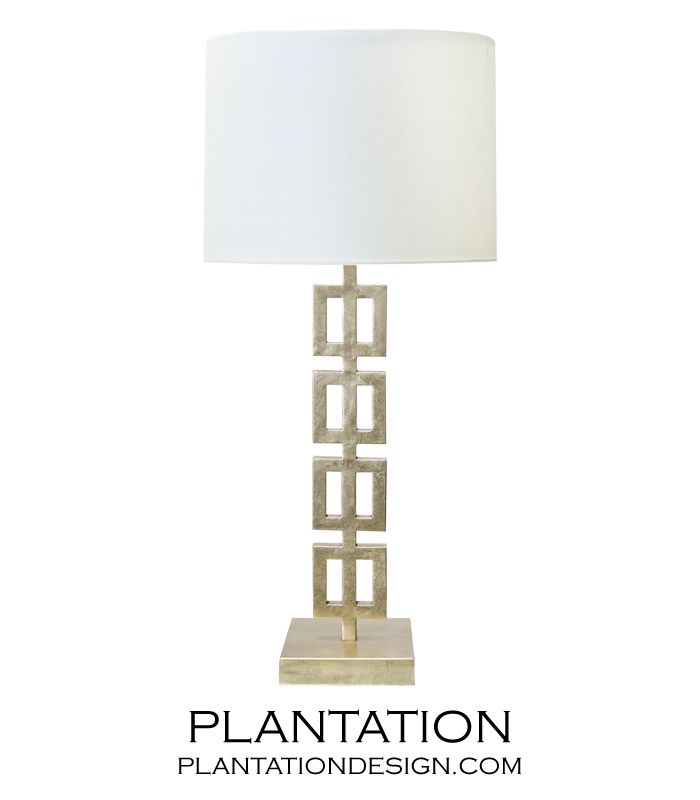 Finished in warm-colored silver leaf, its square base and clean lines create contemporary drama. Topped by a white linen shade. Due to the handcrafted nature of this metal lamp, slight surface imperfections should be considered part of the piece's inherent character. 1-60W maximum.